Omi’s arrived here well and we are enjoying our time together. The past two days we have been out from morning until late afternoon and today she is with my mom so Little Man and I are enjoying just vegging out at home in robes and comfortable clothes. I can already feel the colder weather making me lazy. 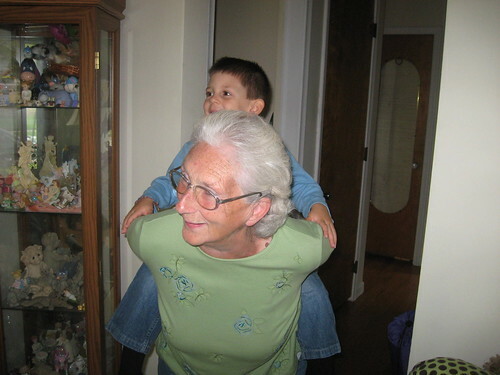 But it isn’t making Omi lazy-Here she is giving Little Man a piggy back ride. I love that she can still do things like that, some great grandmas don’t or can’t. 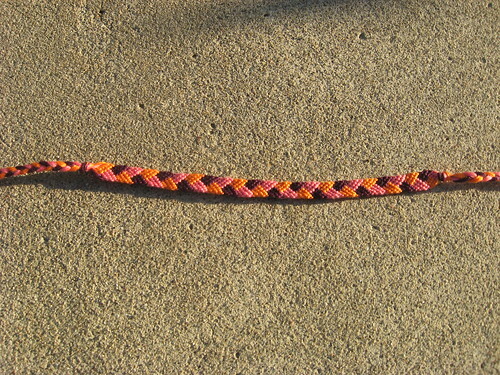 This is the first clue from Through The Loops Mystery Sock by Kristin Kapur-Clues can be found here (Rav Link). The 2nd clue won’t go up until next wednesday so you can join without being behind if you want. 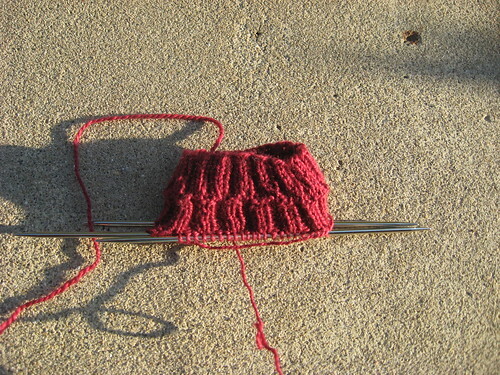 She is doing to versions of the sock, a simpler one and then one that has a small cable. Come Join the Fun. 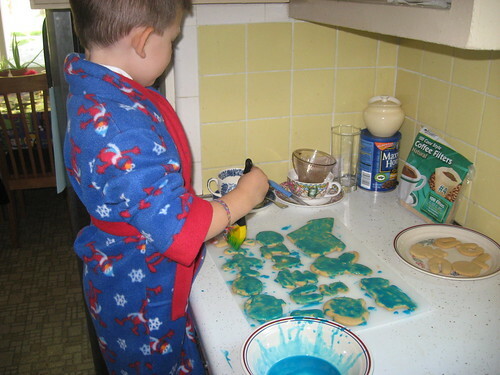 And to end on a sweet note :)-Here is Little Man painting the cookies we made yesterday. Painting cookies looks like so much fun! Your sock and friendship bracelet are lovely. Your grandmother is a wonder! 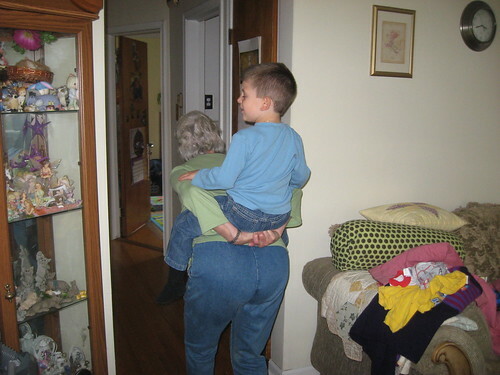 Imagine carry around Little Man on your back. She must be in great shape. I bet you’re all having such a nice time. There is a magical connection between a child and a Grandmother/Grandfather, I wish I still had them around (unfortunately they are all long gone). Your grammy is a strong lady ! Great job with the friendship bracelet and the socks are looking good ! I too kind of feel a little s..l..o..w.. because of the cold starting. And here doesn’t get that cold !